Unbuffered, folder enclosure made from opaque photographic archival paper. The enclosure is open on three sides and has a 10 mm longer back flap for inscription purposes. 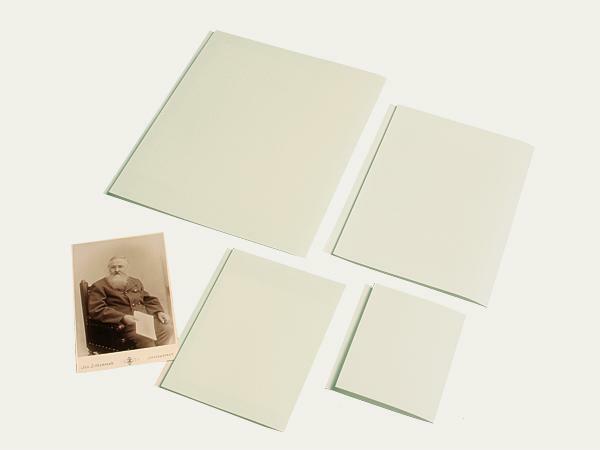 These enclosures are ideally suitable for the archival storage of prints, negatives, glass plates etc. The paper has passed the Photographic Activity Test (PAT) in accordance with ISO 18916. Other sizes available on request.